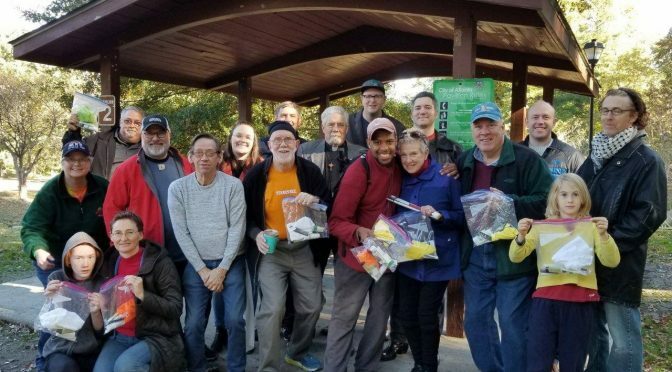 We’re grateful to have been able to assemble hundreds more hygiene kits for distribution to local homeless people yet again on February 10, 2019, and we look forward to our next opportunity this spring. Collection of supplies (see below) year-round. Assembly: In Candler Park, picnic Pavilion 2, in place of our regular Church Without Walls worship service. Volunteers are welcome! Distribution on the streets of metro Atlanta. For more information, including the ingredients list for a standard kit and more background on this ministry, visit our Metro Atlanta Homeless Ministry page. We’re grateful for the ongoing support of the Rotary Club of Decatur and First Christian Church of Decatur.